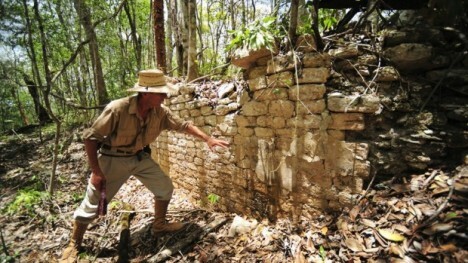 A student from Quebec, Canada, has stumbled on the find of a lifetime at the shockingly young age of 15: a long-missing Mayan city, tracked down using star maps. 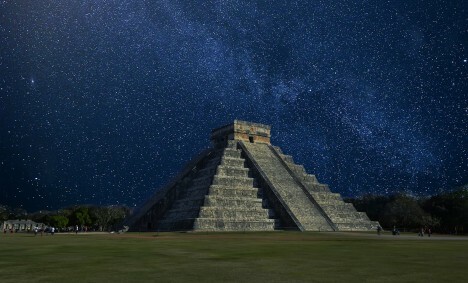 William Gadoury was following a theory that star-obsessed Mayans built towns in layouts that aligned with their constellations, arranging cities below along the same lines as stars above. Looking at star maps, he found a set of three cities where one, he theorized, was missing (two parts of a three-star constellation). 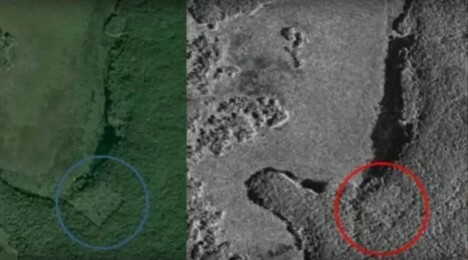 He began exploring satellite images of the area in the Yucatan jungle, coming eventually across what appear to be large man-made shapes visible under the forest cover. Canadian Space Agency scientist Daniel De Lisle, who has worked with satellite images for over 20 years, said the city was likely lost because the jungle is dense in that location. De Lisle said, “There are linear features that would suggest there is something underneath that big canopy. There are enough items to suggest it could be a man-made structure.” Geography professor Dr. Armand La Rocque agreed, with the assessment, suggesting the unnatural square shape may be the base of a pyramid, and pointing out adjacent lines that seem to show a street network. Gadoury, as its discoverer, is calling the city K’aak Chi, which translates to Mouth of Fire. A scientific journey will publish his findings. Sooner or later, it is expected that archaeologists will travel to the location he identified to see what the shapes are up close, and perhaps discover a few more answers about the mysterious ancient civilization and how they positioned their cities. See more in Weird Science or under Science. April, 2016.